The Baseball Hot Stove is beginning. It’s winter, so warm up. 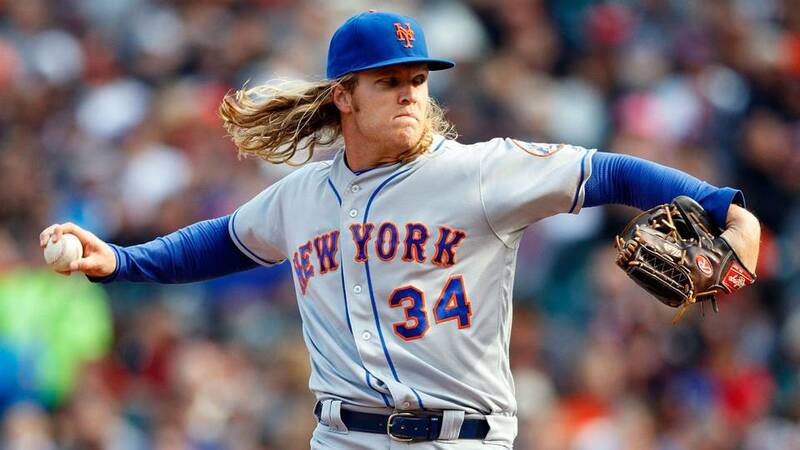 There are reports out there that the New York Mets are open to trading Noah Syndergaard. Could Thor be in the Red Sox future? Cue the Led Zeppelin and put on your mittens while we take a look. Noah Syndergaard has had a number of injuries, but his ‘injury prone‘ label is unwarranted. In May of 2018, he had a strained ligament in his right index finger. It’s unknown how he did it, perhaps playing Fortnite or Red Dead Redemption 2 a little too vigorously, but it held him out six weeks. Then in late July, he suffered from the plague that hit New York pitchers hard: Hand, Foot and Mouth disease. The scourge of toddlers may be embarrassing, but it’s hardly a long-term problem. The major injury for Thor was a strained right lat muscle in May of 2017. I’m not a doctor, so the details are a bit beyond me, but the bottom line is he did not need surgery. Furthermore, this was not a rotator cuff or elbow injury. Yes, it wiped out most of his 2017, but there has been no recurrence of the injury. Because he missed the bulk of 2017, Noah Syndergaard has an incredibly affordable contract for someone of his stature. He still has three years of arbitration ahead of him, and he’s starting 2019 from the low rung of $2.975 Million. That means that even if he performs like a Cy Young candidate in 2019 and 2020 he still won’t be breaking the bank. In short, this man is probably the best bargain in baseball as long as he’s healthy. And it appears that he is. Syndergaard had a rough August as his body recovered from sickness, but he poured it on in September. He went 4-1 with two complete games, including a shutout to end the season. His Statcast average pitch speed was over 97 MPH on his fastball, so he’s still throwing much harder than the average incredible baseball player who is on any Major League roster. I’m sorry, but in light of the rumors of his availability, can I freak out now? It’s no secret that the Red Sox have a rather large bill coming due at the end of 2019. Chris Sale’s contract is up. Xander Bogaerts is hitting free agency. JD Martinez has an opt-out in his contract. Mookie Betts even now is looking to break records in arbitration. As stated above, Syndergaard is cost controlled. So while he is at that $2.975 Million number and coming off a season where he missed some time and made only 25 starts, Mookie is at $10.5 Million and coming off an MVP season. The lower you start from in arbitration, the lower you end up the next year, and vice versa. For a Red Sox team that is paying David Price over $30 Million, with at least that much needing to go to Chris Sale if they want to keep him, Syndergaard is a dream contract. 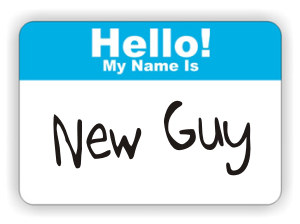 Furthermore, there is no starting pitcher depth in the Red Sox minor league system. Low-cost young stars are the lifeblood of successful major league teams. Noah Syndergaard is the very essence of the solution to these problems. For these reasons, he won’t come cheap. Alarmingly, the Red Sox main competition in the American League are pegged as landing spots for Syndergaard. 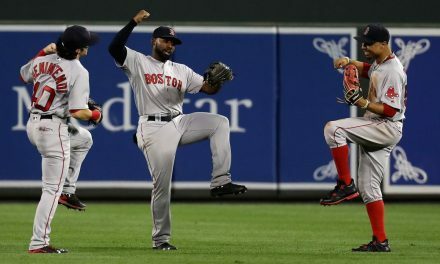 But the possible assets from the Yankees and Astros can’t measure up to the firepower the Red Sox can offer. I was willing to trade Rafael Devers for very few players. Kris Bryant was one of those players. That is because Bryant is young and an MVP winner and perennial MVP candidate. But Bryant would cost a lot soon. Syndergaard is almost the equivalent as a pitcher that Bryant is as a batter and third baseman, and he’s cheap. 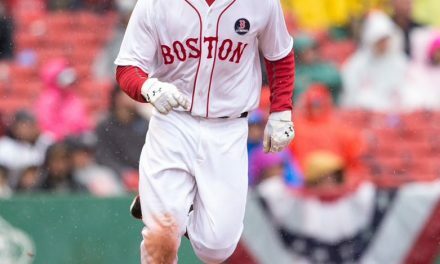 I’m also an advocate for taking advantage of Christian Vazquez’s value at this moment in time. The Mets are working on getting 3B David Wright’s contract off their books. They also have a hole at catcher. I think the framework is there for a Rafael Devers and Christian Vazquez for Noah Syndergaard swap. I do know that this is a trade that meets what the Mets may be looking for. This would be a major shake-up of the future of the Red Sox. Most likely this would mean the Sox would not be in on Nathan Eovaldi, the Sox number one target of this offseason, but maybe not. It would definitely mean letting go of all the potential and promise of Rafael Devers. 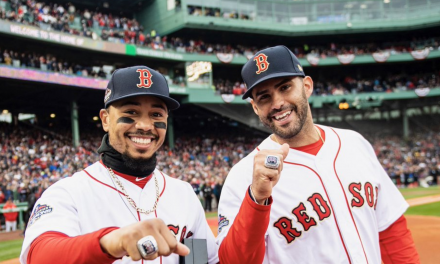 Perhaps there’s a certain swiss army knife, who’s won a recent World Series with Alex Cora, the Sox could sign to play third? The Mets GM, Brodie Van Wagenen, is an unknown entity at the moment. There’s no telling what he may do, but he is contacting a lot of starting pitchers’ agents. It certainly appears he’s readying to trade Thor. Think of top of this rotation on opening day: Chris Sale, Noah Syndergaard, David Price. Kind of makes the drool flow freely from your gaping mouth right?